In Ex Design undertake all types of Architectural and Interior Design projects. We can offer full architectural packages from concept to completion, including full interior design service with advice on fixtures, fittings and general design decisions. We consider your site in its entirety to ensure that the final design flows smoothly between the architecture, the interior and the landscape. Our integrated design philosophy helps us create a home that is in harmony and which makes your outside spaces feel like a natural extension of your indoor living spaces. Not everyone needs their home and garden designing from scratch. You may only need one element of our service and we are very happy to work with you to design your outdoor living areas, create and interior design plan, or to work with you to integrate an existing feature into a wider design concept. With an exciting and fresh view on the world of design, we aim to deliver quality modern Architecture and Design to you at a price you can afford. Good design doesn't mean it has to be expensive! We really can take the smallest to the largest design ideas and make them a reality! 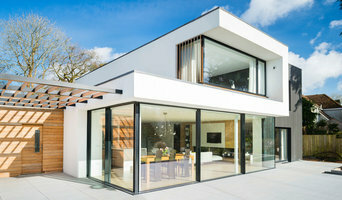 BARC are a vibrant architect’s practice who specialise in the design and delivery of high quality contemporary houses, extensions and renovations in Devon and the South West. As a RIBA Chartered Practice, you can be reassured of excellence in our design delivery. BARC strives to provide you with exceptional architecture, providing services from initial consultation through to completed construction. Our attention to detail, proportion and scale combined with functional practicality produces comfortable, efficient and elegant spaces. We work collaboratively with the client to create a shared vision, and develop highly creative solutions, which realise the full potential of each project. We welcome the opportunity to discuss your project with you. Private Architecture & Design Practice - Established 2011 and based in Devon EX39 with projects throughout the UK including London, Monmouthshire, Gloucestershire & Oxfordshire and Northamptonshire. International work in Australia, Ethiopia and Somaliland. Trewin Design Architects are multi-award winning Devon Architects with a fast growing regional reputation for the creation of dramatic, innovative architecture which is sensitive within its location. Our office is based in Holsworthy, North Devon which allows us to be centrally located to our projects throughout Devon, Cornwall and Somerset. With over 40 years of experience, we are able to offer a qualified and dedicated team to design and realise any residential, commercial or community project in the South West of England. 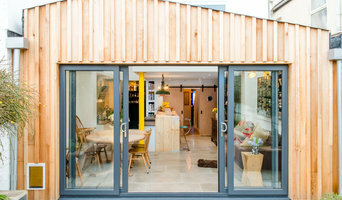 Living Space Architects is an award-winning chartered RIBA practice based in Exeter, Devon. Established in 2004 by Kirsty Curnow-Bayley and Stuart Bayley, we have a passion for creating well-designed, imaginative and exciting projects that are both environmentally and socially sustainable. With the perfect balance of experience, creativity and commercial reality, we will help you translate your vision for your project into reality. LSA's offices on Southernhay West in Exeter, Devon, allow us to be perfectly placed for projects across the South and West of England. We pride ourselves on quality. Both of Living Space’s directors are qualified chartered architects and everyone in the team maintains a programme of continued professional development. We are also an RIBA Chartered Practice. With experience of planning departments across the country, directors with 30 combined years of design experience and practice behind them, and a hunger for creative, effective and innovative architectural design, we’ll help you bring your personal vision to life. We thrive on problem solving – it’s what architecture is all about. We can help you find extra light and space in your home, suggest materials you hadn’t thought of, and help you find the right builders for the right price. From working with clients on initial sketch designs and negotiating the necessary planning approvals, through to completion of the building on site, we are experts at every part of the architectural process and are passionate about what we do - the perfect combination for a successful project. My name is Lawrence Duck, your local RIBA chartered architect with a growing portfolio of architectural projects in Bristol, Devon and the South West of England. My practice specialises in creative and environmentally conscious design which covers retrofit of existing and historic structures, barn conversions, listed buildings and new build energy efficient buildings. I can offer a comprehensive range of architectural and design services for people wishing to undertake a new building project. As an architect I can help guide the client through the whole of the construction process, taking a project from concept to completion. Alternatively I can help with individual stages of a build such as: -Initial Feasibility - advice and feedback about potential development. -Planning Permission - Having navigated many projects through the planning system I can help produce the necessary drawings and supporting information, guiding it towards approval from the council. -Building Regulations - I can produce the necessary detailed drawings for Building Regulations approval. I will coordinate closely with your contractor and the relevant authorities. -Construction Drawings - This involves close coordination with the your chosen contractor to develop detailed drawing and specification information for pricing or construction. -Measured Surveys - scaled site drawings of existing buildings. -Historic Buildings Consultancy - I have a passion for old buildings and can advise upon alterations to historic buildings and deliver listed building consent approval. -Sustainable Design - I can help develop a strategy for achieving your environmental goals. All of my designs are resolved through careful attention to the site conditions, context, and understanding of the clients' aims and objectives. For a free initial consultation please do get in touch. Phoenix Architecture is a small architecture practice in Honiton near Exeter, that cares about sustainability and making beautiful buildings. We design context specific, sustainable, low carbon building structures that respond to the way we live our lives today and in the future. We use local materials and contractors to realise the best outcome. Phoenix Architecture works in the increasingly complex realm where architecture and landscape design meet. Informed by the past and speaking to the future, we design with a modernist’s eye to order, beauty and social possibility, and an environmentalist’s awareness about sustainability and long–term planning. Our thinking is grounded in architectural knowledge, design and creativity. Get in touch today! The practice was set up in 2013 with an aim to develop responsive architecture, through a close understanding of client users, their lifestyle and needs. Tom took a conscious decision to set up the practice to move away from highly commercially-driven briefs and contractor-led material selection and agendas. Tom’s own objectives for the practice are to spend time with clients and develop professional, lasting relationships to ensure that, together they are able to deliver new spaces tailor-made for their use. Straightforward and efficient solutions constructed with quality raw materials, simply combined, ensure that elegant proposals are possible for all budgets. Reducing energy use is a passion of the practice and always a key consideration while designing. Innovative or integrated storage is taken into consideration during the design and briefing to ensure buildings will work for their users, belongings and activities. Bespoke furniture or storage solutions can be included as part of the design service. EXPERIENCE Tom spent 7 years working at Grainge Architects in Exeter, both as an architectural assistant before final qualification and as project-running architect, and prior to this in Cornwall at CAD Architects. During this time Tom has worked on a variety of project scales and sectors. He has worked on commercial, healthcare, sports, dwellings, extensions, developer housing, masterplanning, student housing, shops, listed buildings, modern shopping centres, within conservation areas, and in both urban and rural environments. Particular and notable projects include working at design development stage for the award winning Five Islands School on the Isles of Scilly, an eco farmyard conversion to holiday lets in Cornwall, refurbishment and extension of a listed building in Exeter, delivering four mental health hospital refurbishments totalling £9m within Devon and Somerset and several shopfit projects for Stormfront Apple resellers nationwide. Through this work Tom has developed good knowledge of environmentally sound building principles and techniques in a variety of sectors, and a good working knowledge of construction methods and details. 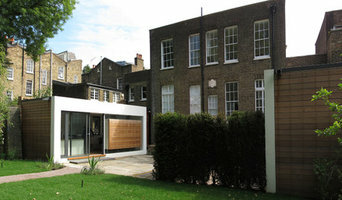 Part of Living Space Architects, we specialise in creating inspirational designs for listed and historic buildings. Lead by director Kirsty Curnow Bayley, and RIBA Conservation Registrant, we have the experience and expertise you need to alter or extend your historic building. We also have expertise in retrofitting historic buildings to upgrade their thermal performance and integrate sustainable technologies to reduce your fuel bills without compromising the breathability of historic fabric of your building. Hilton Barnfield Architects is a local architecture practice delivering a highly unique, creative and professional service. We approach every project with commitment and enthusiasm and are committed to producing innovative solutions to every design challenge in order to maximise added value for our clients. 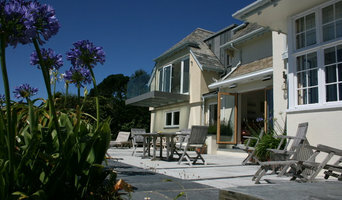 The practice was founded in North Devon by Jonathan in 1986. John Alexander joined the practice in 2000. The majority of the projects have traditionally been located between the Scilly Isles to East Dorset and South Gloucestershire. In 2004 the practice opened the Taunton office to address the workload in Somerset, Dorset and Gloucestershire. The conservation of historic sites and buildings has always been a fast moving, intellectually-based discipline requiring particular training in the context of on-going research and developing advice. The practice has always committed to maintaining an up-to-date knowledge of an ever increasing, extensive understanding of conservation issues. This is reflected in accreditations that individuals in the practice maintain to demonstrate this commitment from; RIBA, AABC, CIAT and the Church of England. Der wesentliche Vorteil für Bauherren besteht darin, dass Sie bei einem Architektenhaus Ihre eigenen Vorstellungen hinsichtlich Design und Optik verwirklichen können. Manchmal machen es auch Besonderheiten des Grundstücks (Hanglage, schwieriger Untergrund) erforderlich, in West Down, Devon, UK mit einem Architekten zu bauen. Spätere Lebensperspektiven wie der Umbau der Kinderzimmer nach Auszug oder altersgerechtes Wohnen können bereit miteinbezogen werden, wenn Sie den Grundriss planen. Diese Flexibilität bedeutet aber einen höheren Planungsaufwand. Gute Architekten führen nicht aus – sie führen einen Dialog mit dem Bauherren auf Augenhöhe. Sie informieren und beraten zu Haustypen, Bauweisen, der Auswahl von Baumaterialien sowie zu baurechtlichen und behördlichen Auflagen – etwa bei Sanierungen von Altbauten oder denkmalgeschützten Gebäude. Wie finde ich den passenden Architekten in West Down, Devon, UK? Die erste Anlaufstelle bei der Suche sind häufig Freunde oder Verwandte, die bereits gebaut haben. Neben der persönlichen Empfehlung sind Bewertungen anderer Kunden hilfreich. Um den richtigen Architekten zu finden, sollten Sie sich im Vorfeld informieren, ob dieser für Ihr Bauvorhaben geeignet ist. Gerade dann, wenn Sie nach einem Experten für einen bestimmten Haustyp – etwa ein Energiesparhaus oder ein Bungalow – suchen, sollte der Architekt in West Down, Devon, UK über Kompetenz in diesem Bereich verfügen. Je spezieller die Aufgabe, desto wichtiger, dass das Architekturbüro Erfahrung mit ähnlichen Bauprojekten hat. Auch ein Blick auf die Homepage des Anbieters kann nicht schaden: sind die Projekte und Informationen aktuell? 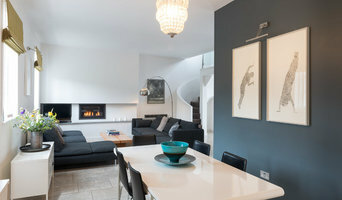 Das Architektenverzeichnis von Houzz macht es einfach, verschiedene Anbieter in West Down, Devon, UK zu vergleichen. Auf den Profilen der Experten finden Sie zahlreiche Referenzen – diese bereits realisierten Projekte sind die eigentliche Visitenkarte des Architekten. Durch die beispielhafte Architektur auf den Fotos finden Sie schnell heraus, ob der Baustil des Experten mit Ihren Vorstellungen übereinstimmt. Bei der Online-Recherche nach Architekten sind Referenzen eine gute Möglichkeit, den Stil des Experten kennenzulernen und mehrere Anbieter zu vergleichen. Achten Sie auch auf die Tätigkeitsbeschreibung des Architekturbüros in West Down, Devon, UK und lesen Sie in den Bewertungen, was andere Bauherren zu der Zusammenarbeit sagen. Ob Hausumbau oder Einfamilienhaus – der dringlichste Punkt für Bauherren sind in der Regel die Baukosten. Diese hängen vom Umfang der vereinbarten Leistungen und dem Planungsaufwand ab. Dabei macht es keinen Unterschied, ob der Architekt in West Down, Devon, UK mit einem Neubau, einer Sanierung oder nur für die Planung beauftragt wird. Was viele Bauherren nicht wissen: das Architektenhonorar lässt sich nicht frei verhandeln. Der Umfang der zu erbringenden Leistungen wird durch die Honorarordnung für Architekten- und Ingenieurleistungen (HOAI) festgelegt. Diese enthält Mindest- und Höchstsätze für neun Leistungsphasen, die sich von der ersten Beratung bis zur Bauüberwachung erstrecken. Auch günstige Architekten arbeiten nach dieser Honorarordnung. Dank der HOAI lassen sich der Leistungsumfang und die Kosten für den Architekten nachvollziehen – sie entsprechen den Leistungsphasen, die Ihr Architekt betreut hat. Übrigens müssen Sie am Anfang der Zusammenarbeit nicht alle Phasen in Auftrag geben. Wenn Sie ein Architektenbüro in West Down, Devon, UK für alle neun Leistungsphasen beauftragen, beträgt das Gesamthonorar etwa zehn Prozent der gesamten Kosten für den Bau. Auf Houzz können Sie direkt und unverbindlich Kontakt mit Experten aufnehmen. Durchstöbern Sie die einzelnen Profile, um Informationen zu den Dienstleistungen, der Qualifikation und dem Tätigkeitsgebiet zu finden. Bei einer Anfrage skizzieren Sie am besten Ihr Projekt mit Stichworten wie energetische Sanierung, Modernisierung oder Dachausbau. Bevor Sie einen oder mehrere Architekten in West Down, Devon, UK kontaktieren, sollten Sie sich die Empfehlungen anderer Kunden ansehen.